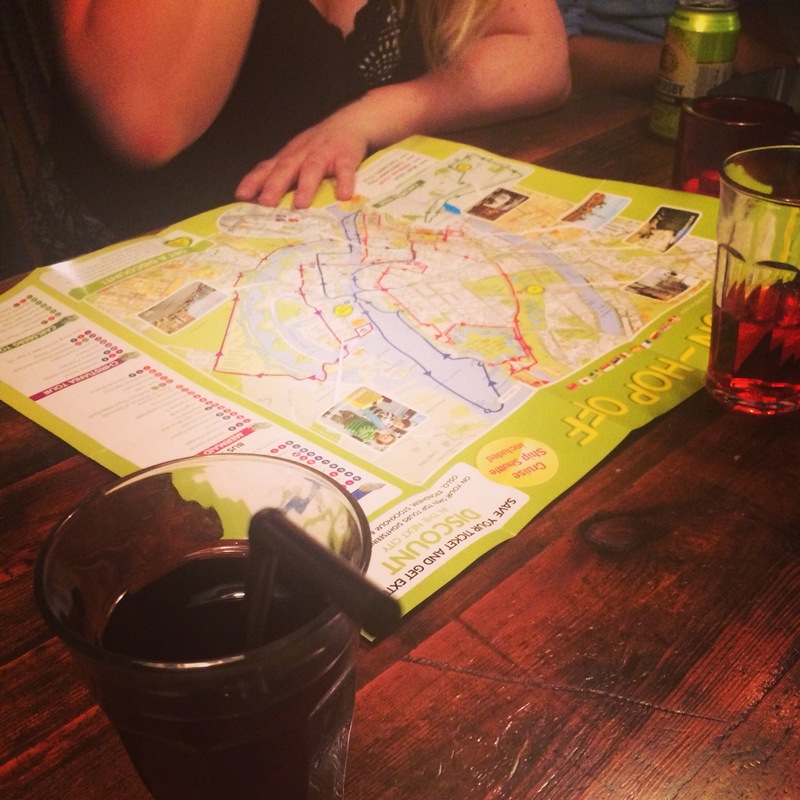 It’s the time of year where people usually begin to plan their adventures for the year, or at least I do. 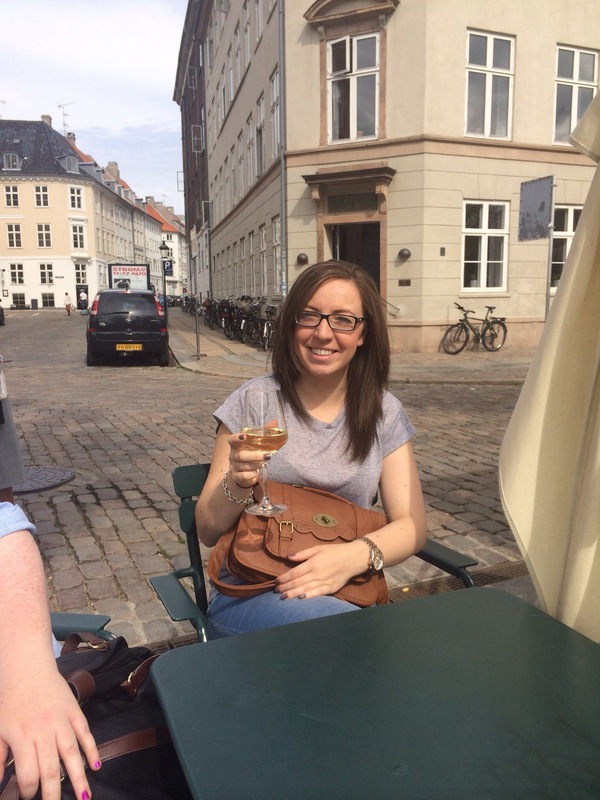 Usually during the summer holidays I end up in a sun lounger for a week, but last year for the second year in a row, I swapped a summer beach holiday for a city break…or three! 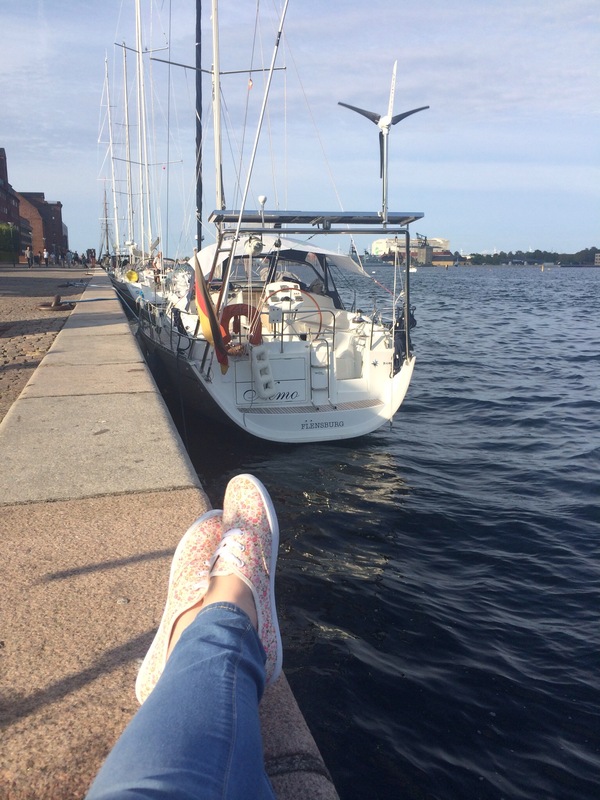 My friends and I decided to take a mini tour of Scandinavia during summer and visited Copenhagen in Denmark, Stockholm in Sweden and Helsinki in Finland. I then took a trip to Rome in the October. I have blogged about the food I ate when I took my trips but I saved the anecdotal posts about my travels until now. 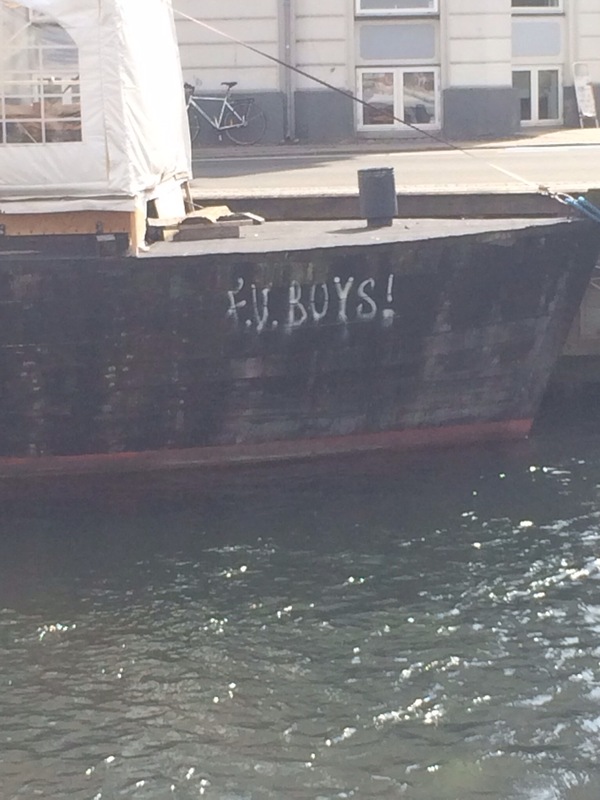 So city number one: Copenhagen! 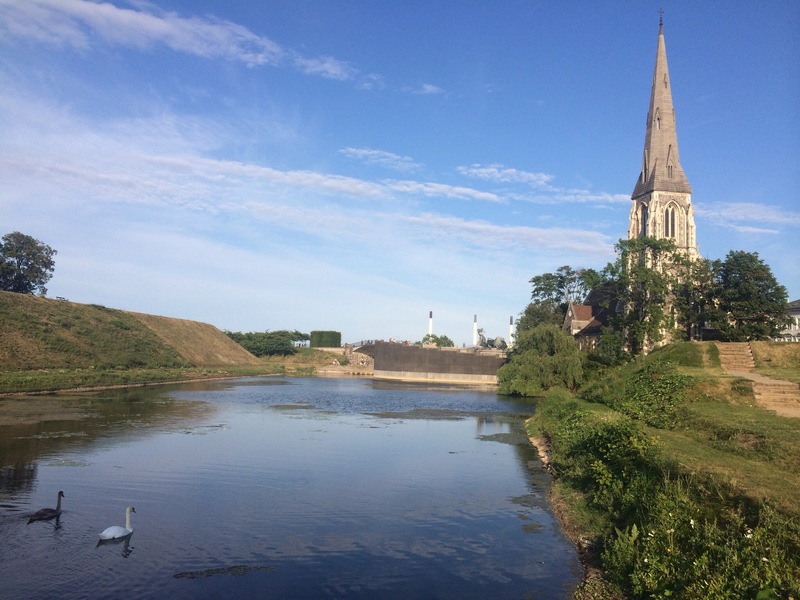 We arrived in Copenhagen fairly early on, dumped our bags and set off to explore immediately. By explore, I of course mean explore the bar. 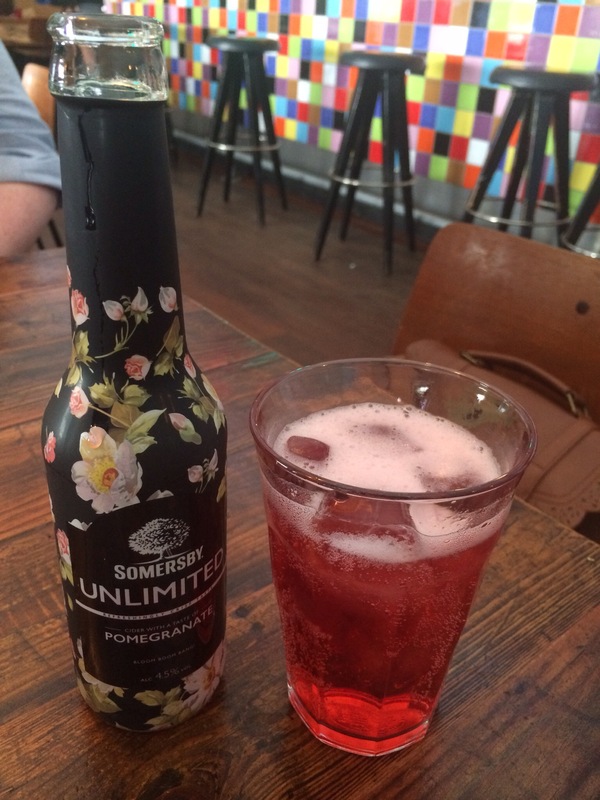 Good job we do explore, because we found the most delicious cider! My favourite flavour was pomegranate, but cactus and blackberry were beautiful too. I currently have two of the lovely bottles in my kitchen as I want to put flowers in them. They’re too nice to throw away! 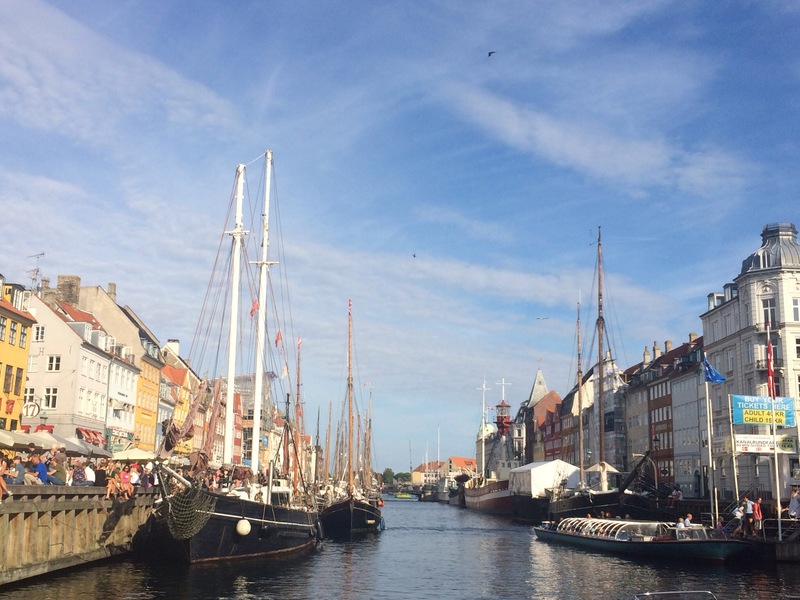 We took a walk into the centre and decided to jump onto a tour boat to have a look around, hear the commentary and also visit the harbour area of Nyhavn for a meal. There was a wait for the next boat so we grabbed a glass of wine. I ordered a Pinot Grigio and the waitress thought I meant San Pellegrino…there was a tense moment where the water nearly hit my glass…I did my best Bodyguard impression, screaming ‘NOOOOO’, let me tell you! Luckily we prevented disaster and I was served my wine! Sitting with my wine, admiring local women’s views on men. And silently agreeing. 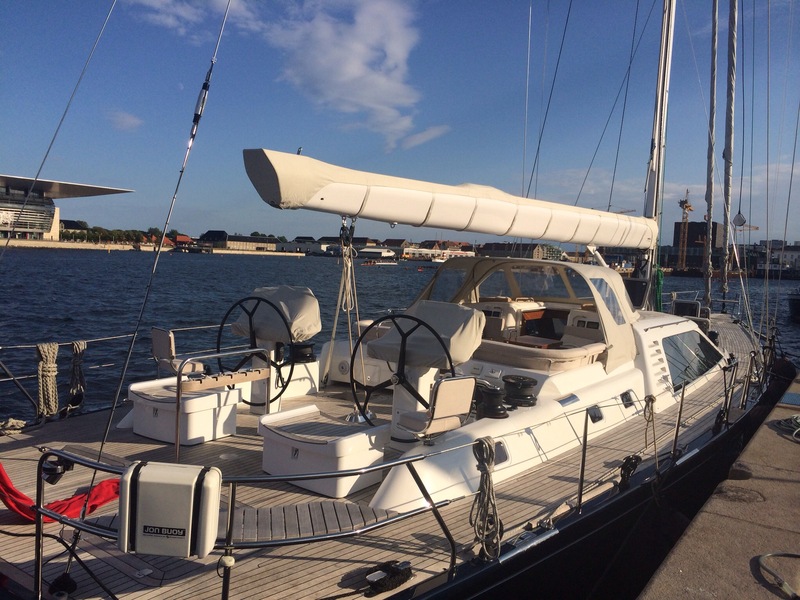 Our boat arrived faster than I could drink so I was given a paper cup to take my wine on board. It was so relaxing sitting on the boat in the sunshine sipping my wine! Happy days! 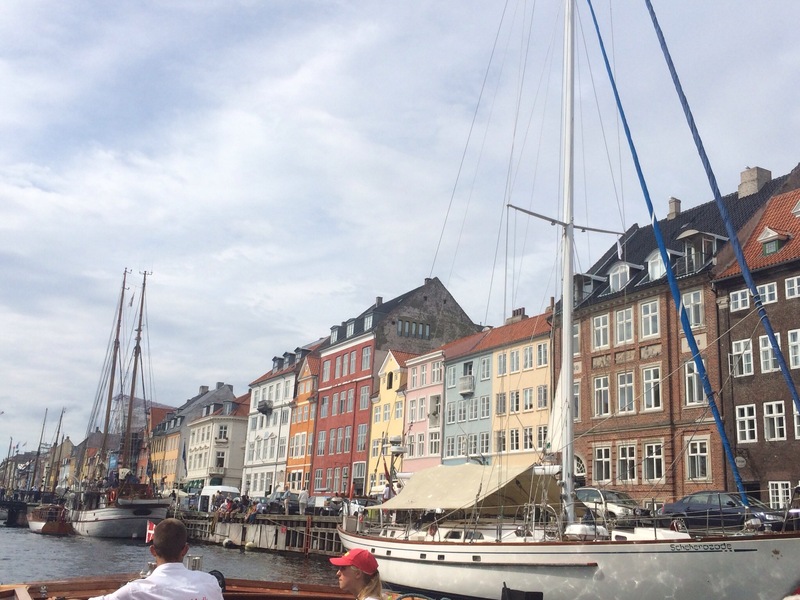 We arrived in Nyhavn, a little harbour district of Copenhagen; I fell in love immediately. 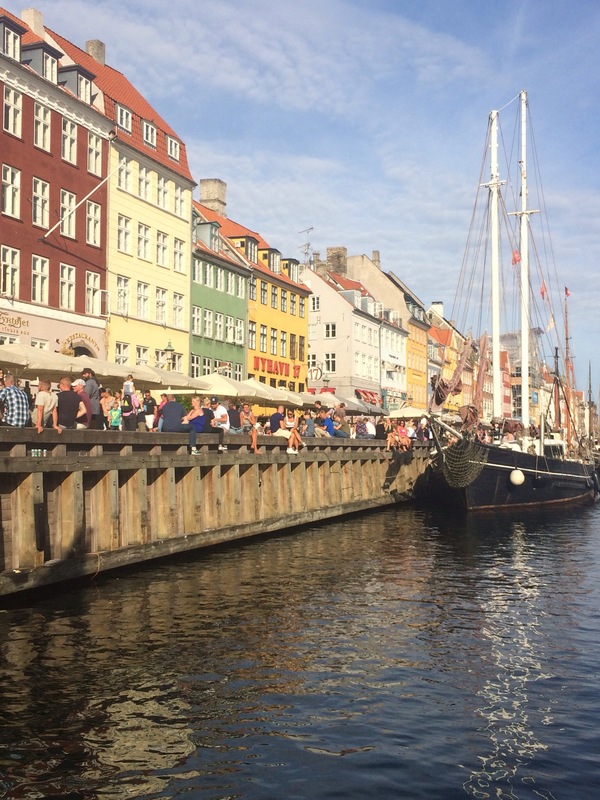 Just picture it: sunshine, multicoloured buildings, yachts, pirate ships, tour boats, a man and his son playing Andrea Bocelli on the accordion as hundreds of people eat, drink and chat by the water. It was perfect. We wandered down the street and admired the various artists who sell their work. I like bold, messy art (Van Gogh-esque) and there were loads of wild oil paintings on offer. 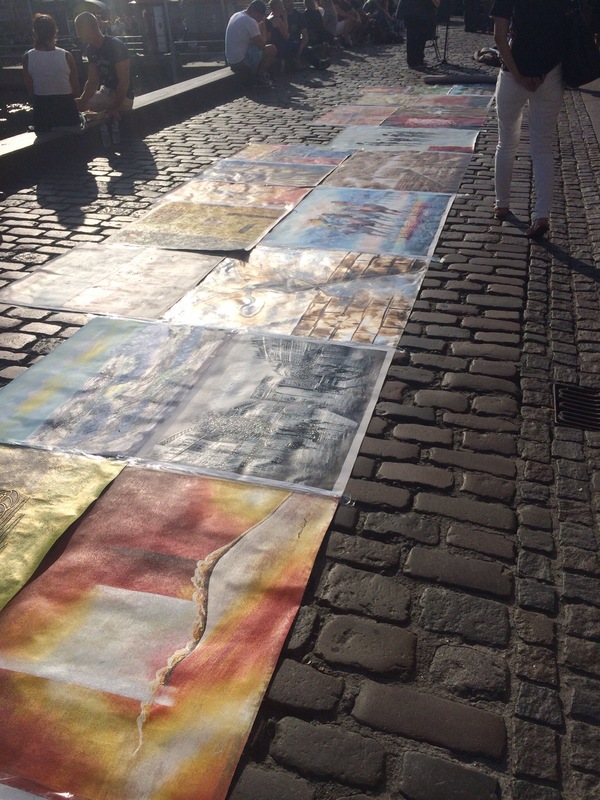 If my suitcase wasn’t so full, there was a gorgeous one of Nyhavn that I’d have loved! We found a little restaurant and ordered a tasting platter to sample the local delicacies. I couldn’t tell you the name of the place as there are so many in a row, with tables covering most of the pavement. We just picked a nice spot and hoped for the best! 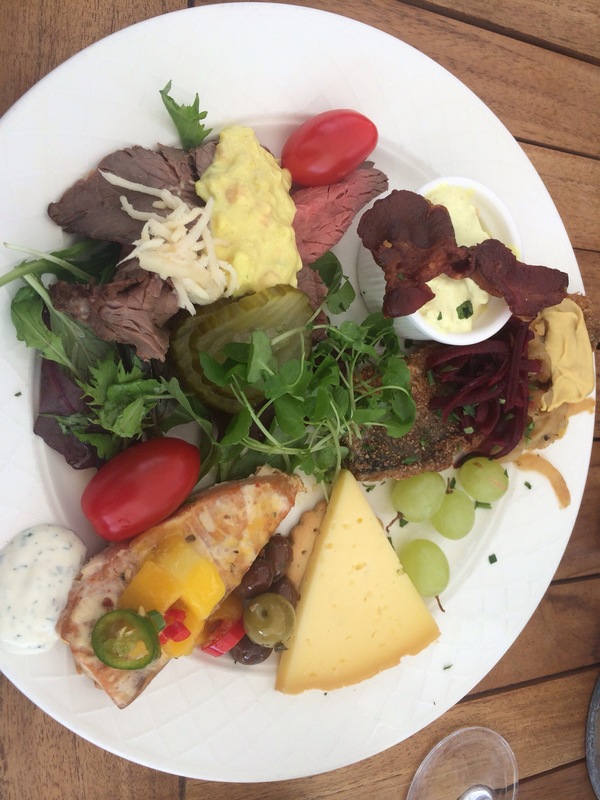 I’m a huge fan of tapas, so this was the Danish equivalent. I’ll be doing a foodie post with the details! I hate the Euro purely because it’s a plain, boring currency that hogs Europe. 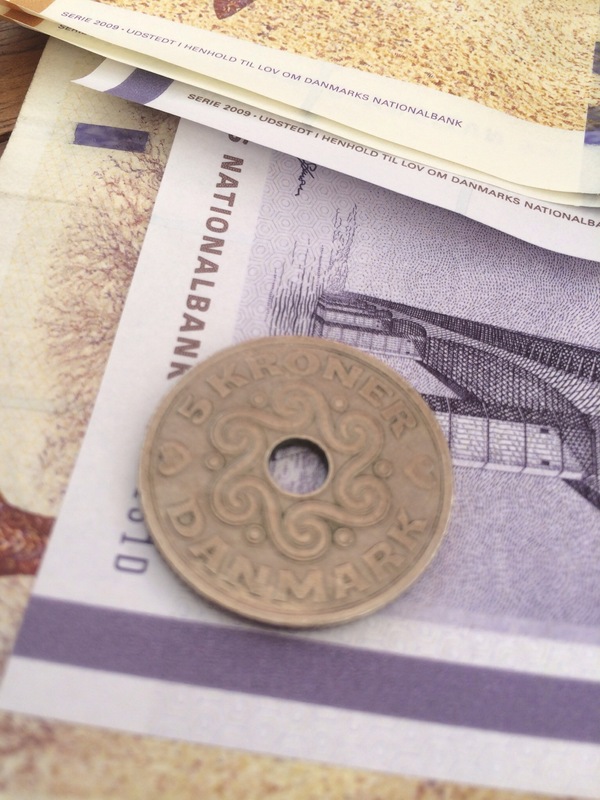 I love the novelty of foreign money, especially Danish money with its strange coins! 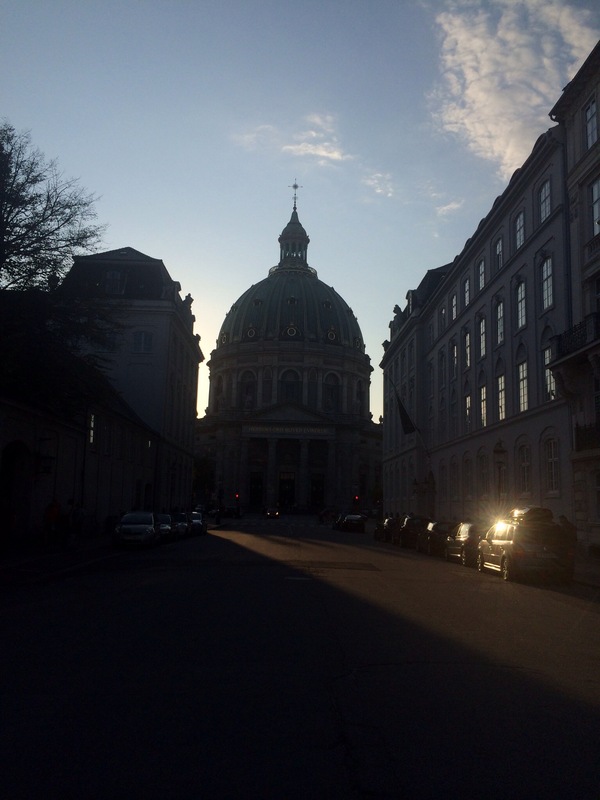 We wanted to visit the Amalienborg Palace and to get there we walked past the absolutely stunning Frederik’s Church. 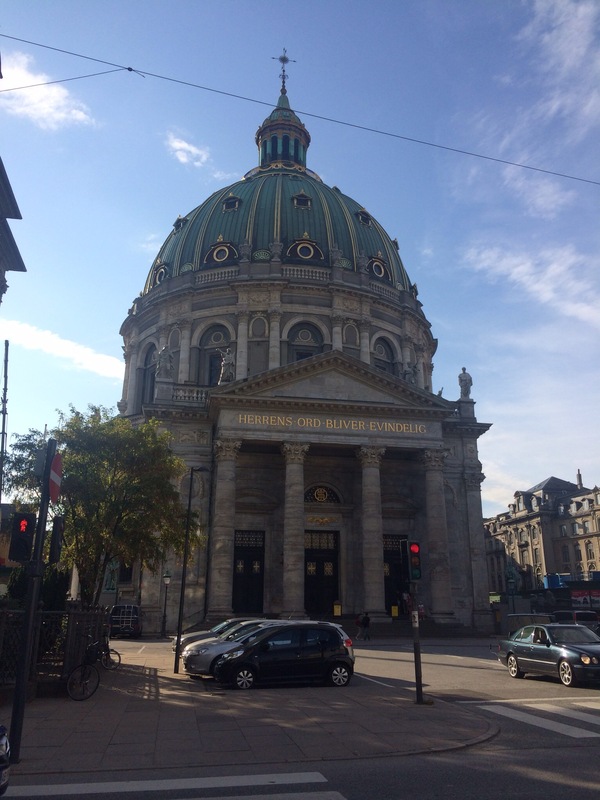 It is is most commonly known known as The Marble Church as the intention when it was built was that it was supposed to be made entirely from marble. 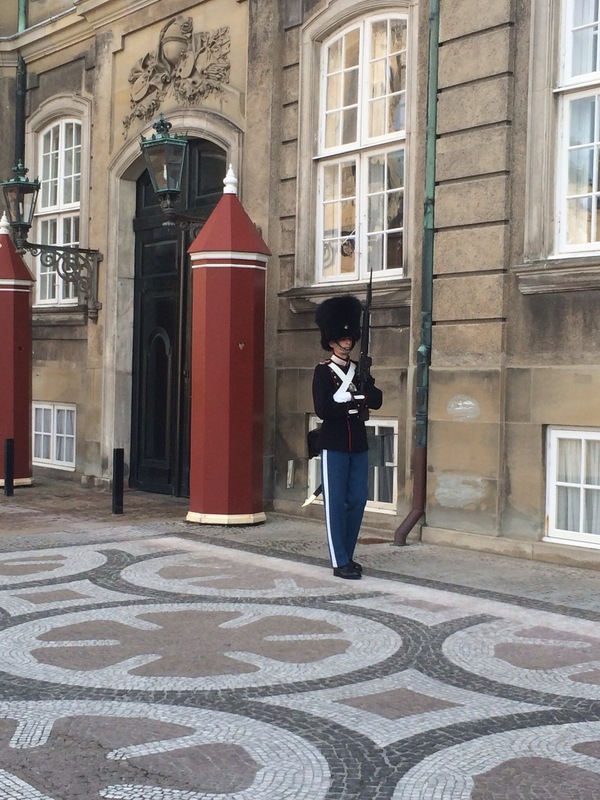 The Amalienborg Palace is guarded day and night by these handsome fellows! 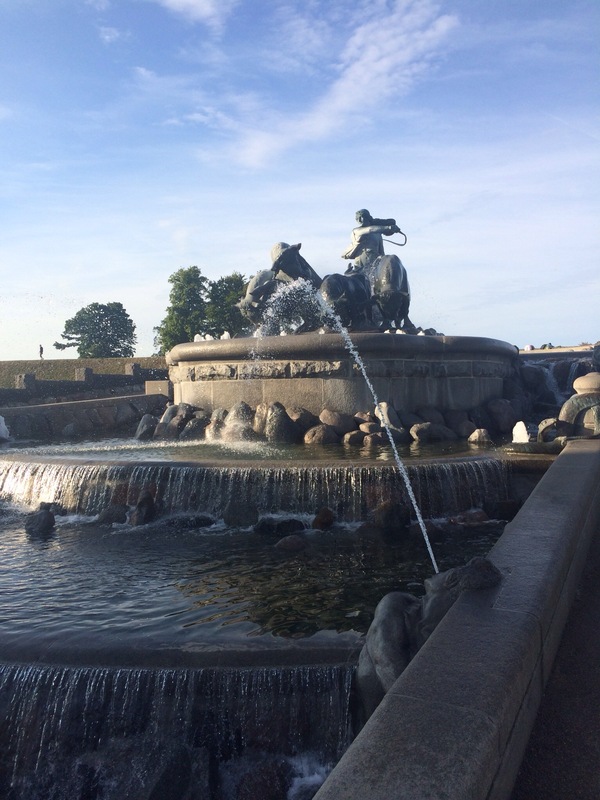 It’s a gorgeous area of Copenhagen as it’s almost entirely monobloc paved and adnorned with statues and fountains. It’s a typically romantic area – like a palace from a story book! 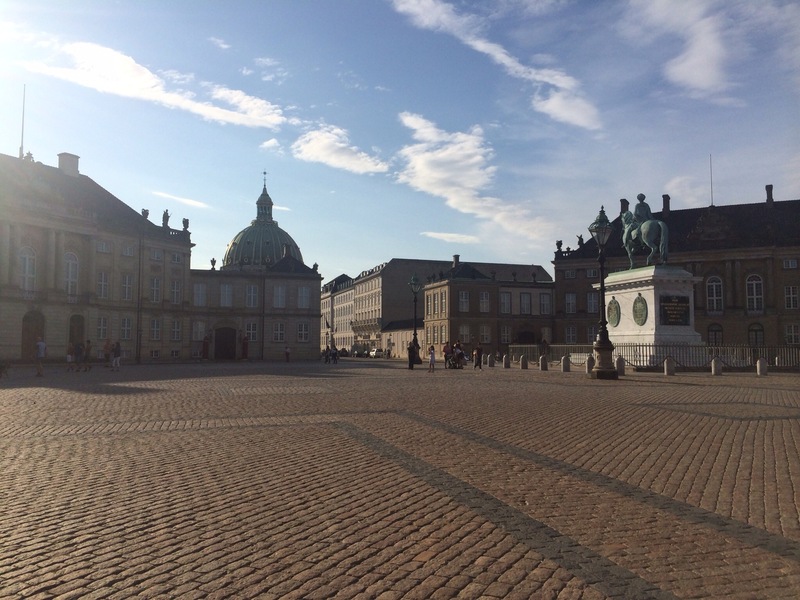 The thing I found amusing was that there were four palaces within the square, almost like a really posh cul-de-sac! 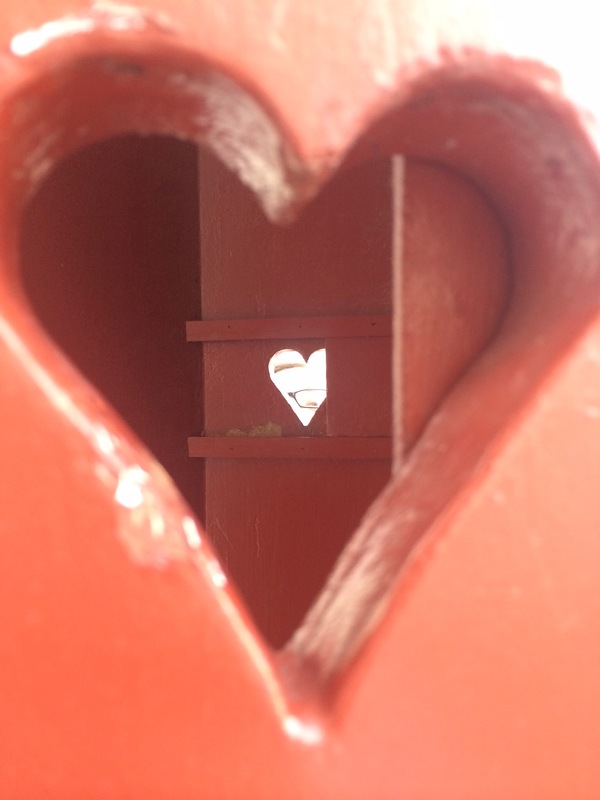 They have these red pillar-like boxes with hearts carved out of them all over the palace areas. I joked that it was the guard’s changing rooms, but my Google search hasn’t given me any indication of what they are actually used for! Does anyone know? In true Herby style, I wanted a photo of me looking through the heart but it was too high. So I jumped. I’m pretty happy with how it turned out. 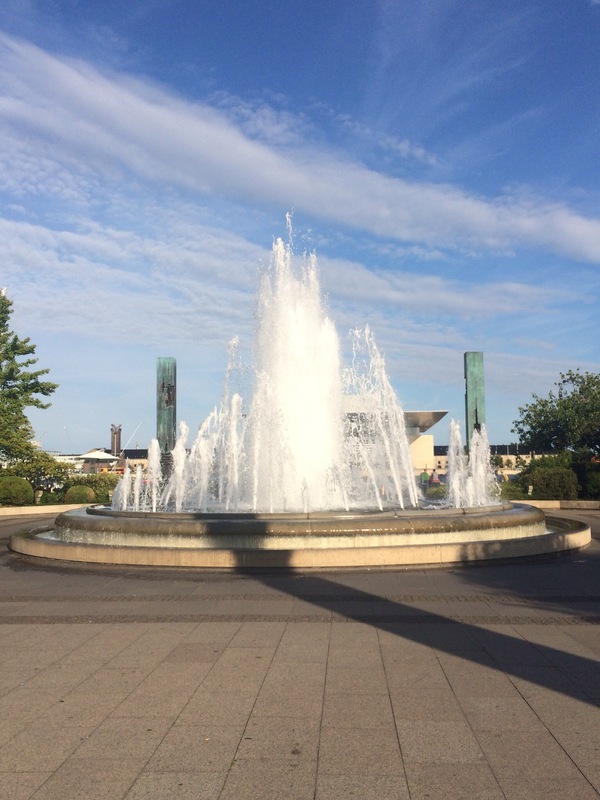 I absolutely love and adore a good fountain! See. 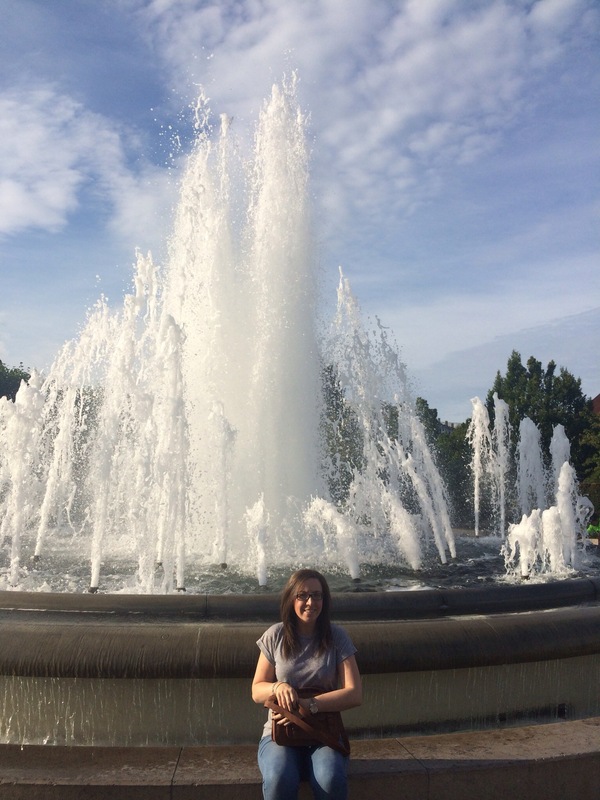 That’s me, adoring the fountain. This is a statue AND a fountain. Happy days! 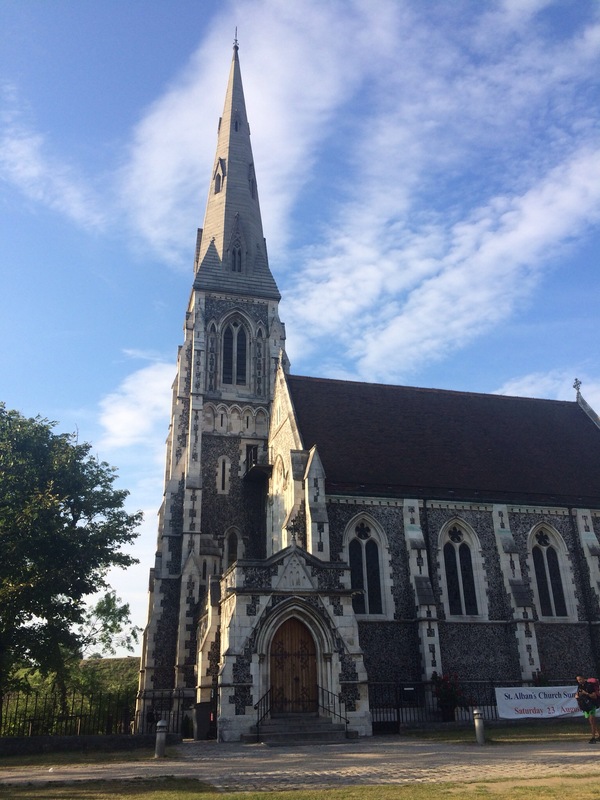 We ventured past the palaces and walked towards St Alban’s Church, which was named by Winston Churchill. 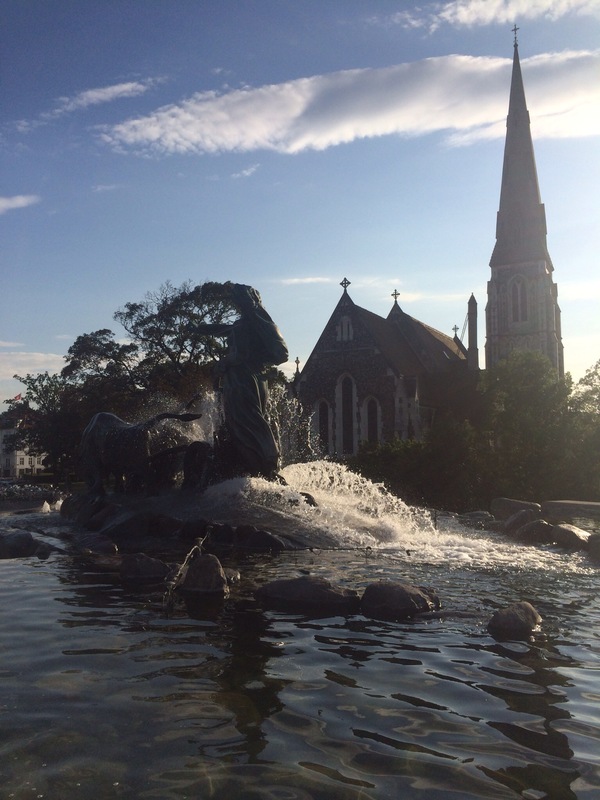 This was my favourite area – it was so beautiful with the dramatic Gefion Fountain, the quaint but massive church and then the lake surrounded by greenery. So beautiful. I perched myself for a little while on the wall of the bridge to just enjoy the view and the beginning of the sun setting. As most people know, I am absolutely nuts for Disney. 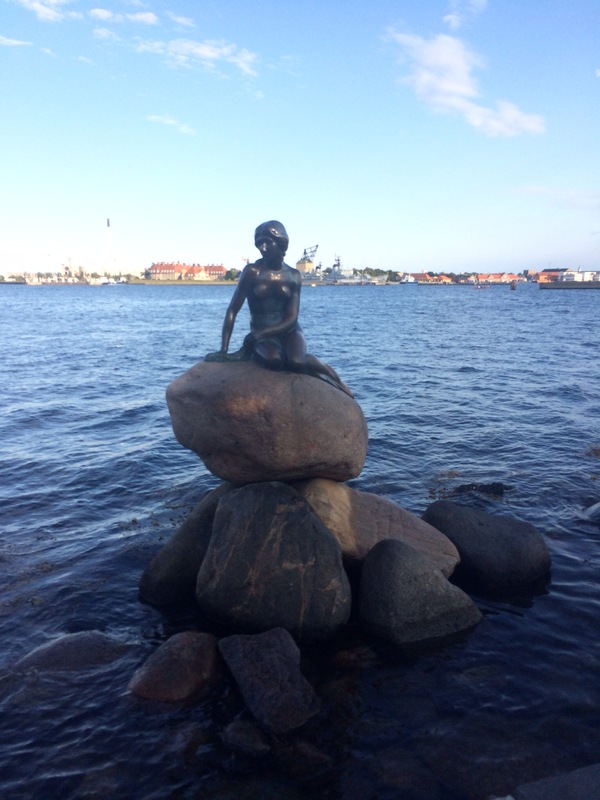 When we originally planned our trip to Copenhagen, I made it clear that I wanted to do all the Hans Christian Andersen things! 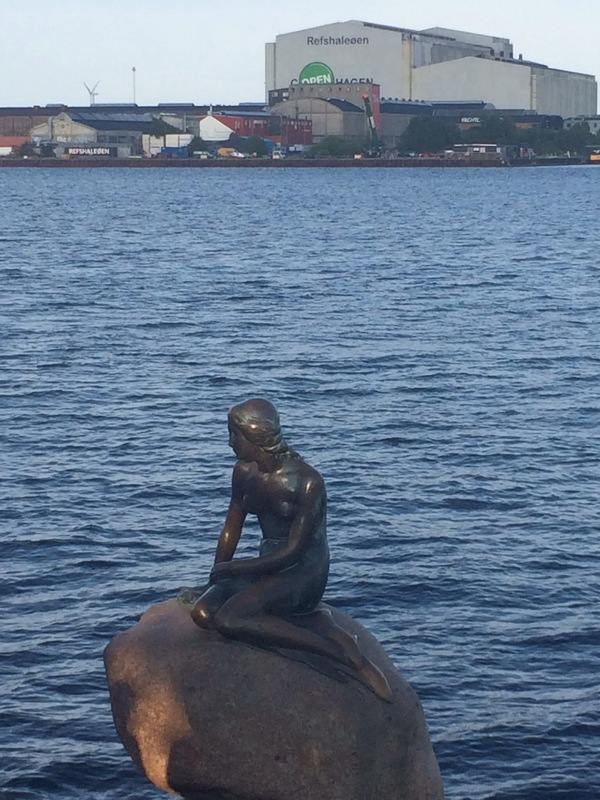 The first we managed was to visit the Little Mermaid statue. She is modelled on his story which inspired the Disney story. On our tour bus I was hysterical laughing when we drove past the next day and they described her as “disappointinly unremarkable”. HOW DARE THEY. SHE IS REMARKABLE. 1. I’m doing/wearing something fun. 3. I want to remember how I felt in the moment. This was the latter. Happy Herby! 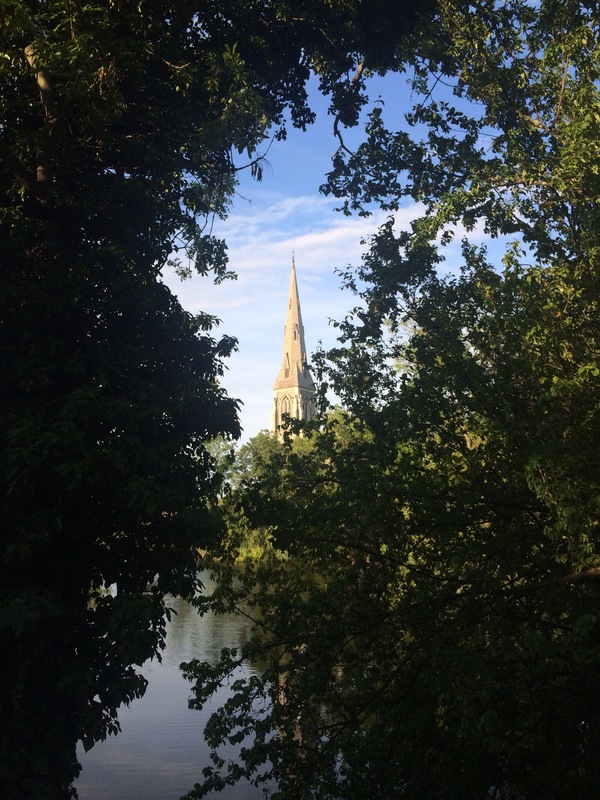 As we were walking back, we came back towards St Alban’s as the sun was setting and I couldn’t resist. It’s just so beautiful! 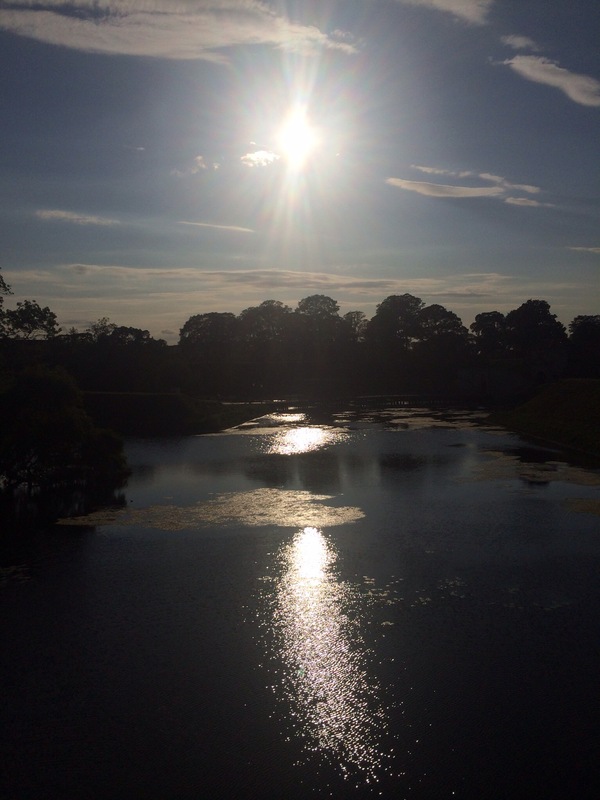 I hope so – it’s beautiful with the sun! Do you have lots planned or are you just exploring?